It’s been a while everyone! Happy to check back in and post some of my favorite clothing finds this season. Apologies for the delay on responding to your questions and comments; I will make sure to check back much more frequently! Ok, let’s get started! Tees with clever (or French) sayings have been all the rage lately, and unfortunately I haven’t been immune to the fad. I, however, refuse to don any tees with silly, childish sayings. I think the right balance here is something simple and chic. This tee fits the bill. The fit is loose, comfortable, and it says only one thing designed one way, but that’s all it needed to look chic. Love it. Get it here from J.Crew for $42.50. Love these shorts. This print looks like exotic jewelry that remind me of Morocco for some reason. It looks very expensive and dressy, so pairs perfectly even with a plain tee. Best of all, it is as comfortable as a plain tee — it is pure silk and feels like second skin AND it has an elastic waist so you feel like you barely have anything on at all. Love. Get it here from J.Crew for $118. Love the unexpected color pairing here of wine and royal blue. Love the amount of detailing. Love the different textures. Yet oh so casual and comfy. Get it here from J.Crew for $98 (ouch!). 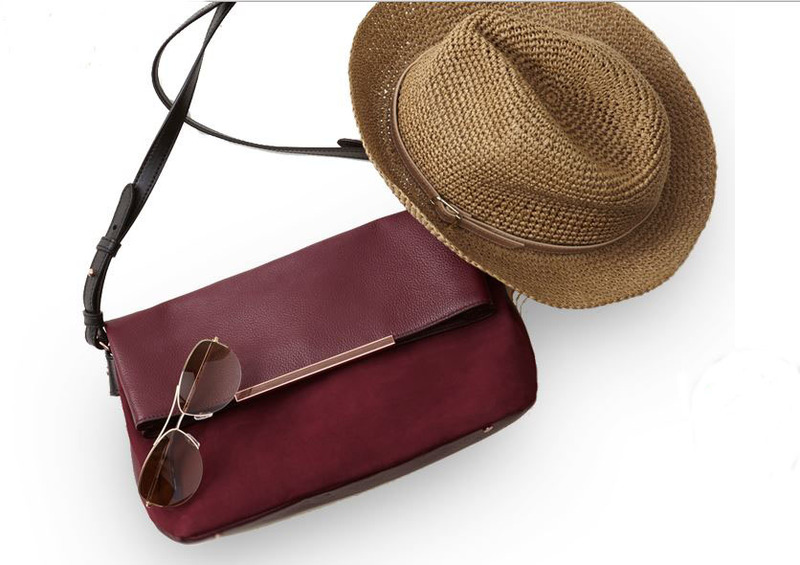 This bag’s product photo on the Banana Republic site really doesn’t do it justice. It’s a gorgeous shade of wine red, with the thoughtful pairing of textures working wonderfully towards making this look more expensive than it really is. The touch of gold in the hardware is icing on the cake. Get it here from Banana Republic for $165. PS. love it paired with this Banana Republic Zoe hat as well. So pretty and feminine, but just screams summer to me. Love it with a floppy straw hat and these Heritage Drapey Pants (elastic waist = super comfy). Get it here from Banana Republic for $69.50.